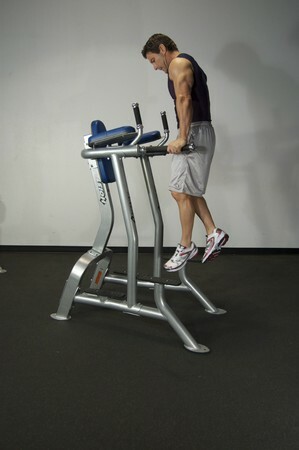 Tricep Dips- Mount yourself on a dip bar, arms straight, with shoulders above hands. Lower body until a stretch is felt in your shoulders. Push your body up until your arms are straight. Repeat for desired repetitions.